Formerly Living... In Saratoga Springs, N.Y., with his wife and two children as a free black man, with papers to prove it. That was before two con-men persuaded him to accompany them to the Capitol. Now Living... as a slave on a New Orleans plantation. The plantation covers many hundreds of acres. Bloodhounds patrol the border on one side, and on the other the bayou provides a hard living, with alligators and little to eat or drink that won't kill you. Profession... a carpenter and fiddle player. 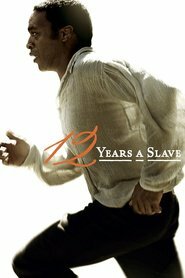 He's been kidnapped into slavery, working a field and picking cotton among hundreds of other slaves on a New Orleans plantation. Interests... the violin, which he plays very well. Two men, Hamilton and Brown, saw him perform in Saratoga Springs. They told him about an opportunity to join a traveling merry band, a spectacle of some sort, with acrobats and dancers. It was a chance to make his passion his life's work, but unfortunately it was an offer too good to be true. Relationship Status... married, but cruelly removed from his wife. He knows that the solitude plays tricks. Better the loneliness. He misses his children and wonders how they've fared without him, or what his wife is doing. The thought of being reunited with them is his only happiness. Challenge... survival and freedom. He believes someone is waiting for him. If only he can find a sympathetic ear among the others, or a miracle from his friends up North. Until then, his spirit will not be broken. Personality... strong-willed. His brutal circumstances often leave him woeful and crushed; melancholy is the yolk he sees most. Yet he will not fall into complete despair. His freedom is everything to him. Solomon Northup's popularity ranking on CharacTour is #2331 out of 5,000+ characters. See our top-ranked characters and read their profiles.